This classic bicycle tour from the 'Metropolitan Spree City' of Berlin to the 'Little Mermaid' in Copenhagen. 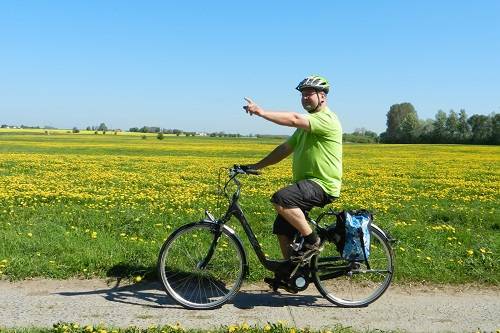 Enjoy the gorgeous German lake district, ride on a brand new cycle path and take a ferry from Rostock to the white cliffs of Møn Island. Explore vast woodland, National Parks and enjoy coastal landscapes before you arrive in Denmark's enchanting capital city of Copenhagen where cycling is a way of life. In the national park of Nossentiner Heide you will cycle through the vast wooded area to Krakow. Güstrow, known for the late artist, Barlach, isn't far away. Your time is well spent by doing a sightseeing tour through the old town as well as by visiting E.- Barlach-atelier. Overnight stay in Krakow region or Guestrow. 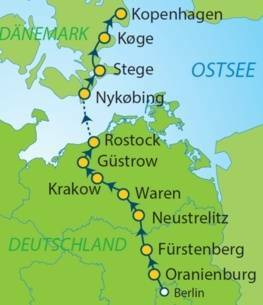 On the way to Rostock you will cycle along the Buetzow-Guestrow-Canal. Tour can be shortened by taking the train from Güstrow up to Rostock on your own. Overnight stay in Rostock. In the morning you will cycle to the ferry harbor in order to board your ferry to Gedser. After approximately 2 hours you will arrive in Denmark enjoying dikes and forests along your way to Falster's beautiful beach. Overnight stay in Nykøbing. You will cycle along the coast to the old merchant city of Stubbekøbing. It is worth taking a stroll through town before taking the ferry to the island of Bogø where the ferry will make a quick stop. Continue on the ferry to the island of Møn. Overnight stay in Stege. At first you will cross the bridge from Møn to Zealand. Continue north through the coastal landscape, where cottages and manor houses are to be seen in the surrounding countryside. The distance to Fakse is approximately 52 km/32 mi away; to the cliffs of Rødvig you will ride about 68 km/42 mi. Travellers are responsible for their own transportation by train to Køge. Overnight stay in Køge. Today's leg of the tour leads you along the beaches. You may like to visit the Museum for Modern Art in Ishøj. Copenhagen is enchanting. A visit to the Tivoli Gardens is a must and a stroll around the old harbor is a great way to crown your day. Overnight stay in Copenhagen. Day 11 Departure from Copenhagen Depart after breakfast. Travellers are responsible for their homeward transportation. Day 11 - Departure from Copenhagen Depart after breakfast. The route is mostly flat in Brandenburg, slightly hilly in the region of the Mecklenburg Lake District; flat to slightly hilly in Denmark. You cycle almost entirely on side roads with no heavy traffic, on country lanes, forest paths and little minor roads, partly asphalted and partly with natural surface. Car Parking: A sufficient amount of free parking is available at the hotel (no guarantees, no reservation). Arrival by car: Take the A10 (northern Berliner Ring) or the B96 north. At the Birkenwerder junction, the two roads intersect. Continue on the B96 in the direction of Oranienburg. At the end of the town, follow the federal road for about 3 km and turn right on Erich-Mühsam-Strasse (vis-a-vis the police station). At the end of the road, turn on Albert-Buchmann-Straße and you will reach Hotel An Der Havel in about 250 meters. Parking: Hotel parking for €1.00 per day (subject to changes, no reservation, payable on-site). Arrival by plane (airport): • Berlin-Tegel (about 20 km away) • Berlin-Schönefeld (about 80 km away) Arrival by train: To get to Oranienburg station, take the S1 or regional trains RE5 and RE12. From the square in front of the station, follow Willi-Brandt-Straße and then cross Luise-Henrietten-Steg. You will reach Hotel An der Havel after walking for about 8-10 minutes. 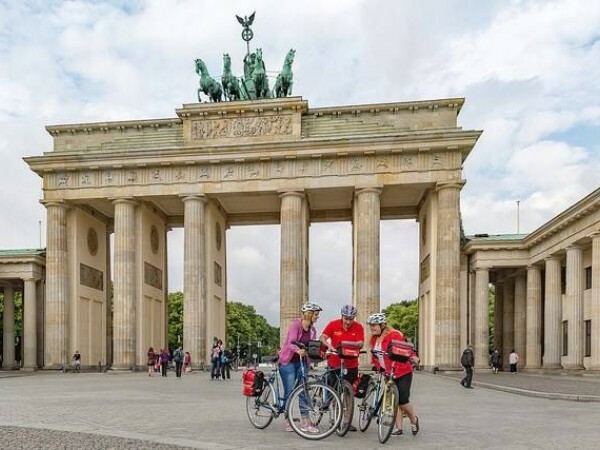 The Berlin to Copenhagen cycling holiday includes the daily transfer of luggage to the next hotel and local support if required. This cycling holiday uses a selection of men's and women's 7-speed bicycles with back-pedal breaks with hub gears and 26" or 28" wheels. There is also a selection of various size 24-speed freewheel men's and unisex bicycles with derailleur gears and 28" wheels. They are top-quality brand bicycles by Kettler and Kalkoff. 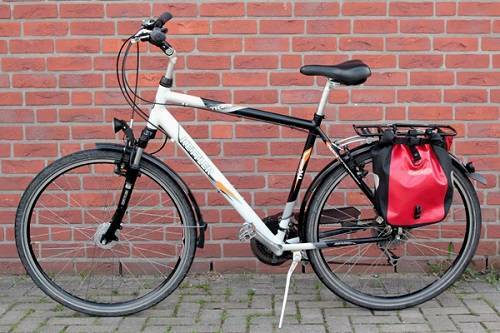 You will receive an accessories package including a bicycle pannier bag with a 10L capacity, repair kit, lock, key, and air pump.